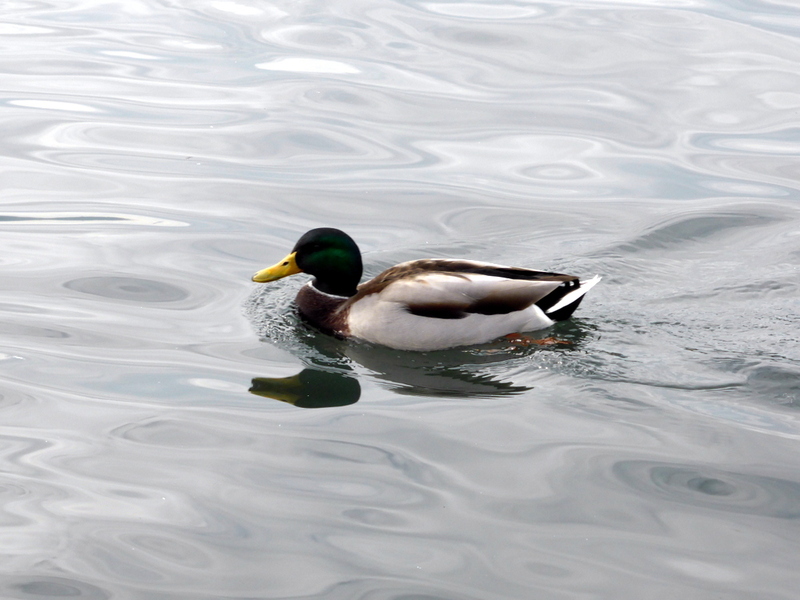 Life seems pretty simple for this duck on Lake Zurich. One of the most important things I did before setting out on an extended period of travel is to develop a minimalist lifestyle. It’s a necessary component in terms of moving around freely and lite enough around the world with only what you need. Turns out it also has a few other benefits. I didn’t have a big apartment back in Florida, but I needed to move out before I left (why pay rent if I’m going to be gone for a while) and I realized that I had a ton of junk and clutter collected from over the years that I needed to clear out. I hated this process. It was well worth it though, and there were some lessons learned. There was a lot of preparation to do in addition to this step. Logistical things such as securing flights, visas and figuring out itineraries and what I need to bring, all while limiting it to just one backpack. I was also brushing up on old skills and learning new ones while trying to get my freelance business back up and running. When given the option of multiple things to get done, we have a tendency (or at least I do) of doing the one that interests us more, or that we are more comfortable doing. Not necessarily what is more important to do. I’m well aware this is a big no-no in all the best productivity advice out there. The thing you most dread doing is usually what you need to do the most – or something along those lines is what I’ve heard over and over again. I’m working on this. It was this and my habit of procrastinating that led to what ended up being a very stressful last couple weeks before the trip. Time that would have been better spent relaxed and with everything mostly all set and ready to leave. Basically, I paid the price for my bad habits – although at the same time it finally set in that they are habits I need to change going forward. After my last day at work, I had a little over a month before my first flight to Europe. The final couple of months at work were very chaotic so I didn’t really have much of a chance to do any of this beforehand. A month though should have been more than enough time. Maybe it was just that the task seemed so overwhelming that I completely ignored it for the first couple of weeks. Strangely, at the same time I severely underestimated how much time it would take to go through everything. There was the matter of the big items that I wanted to sell or get rid of, such as furniture and my TV. Then there’s the smaller stuff that I had to determine what was important and what to throw away – old mail, documents and bank statements, lots of random items and way too much clothing. Some of the mail and documents had even carried over from old places I lived – years old. Each time I had to move I would just put them in a box (with the intention of going through it all once I settled in) and never look at them again until my next move. I know, I was bad! Thankfully I had a good friend of mine down the street who is a lot better at organizing than I am to help me and we got sorted through everything. Oh how I wished I had just gotten all this done a long time ago! I left it a bit too late to figure out trying to sell most of the stuff I had been thinking of selling, but I did donate a lot of clothes and furniture, so I feel good about that. Just rented a uHaul for a few hours and dropped it off at the local Salvation Army. Other items I handed down my friend. Quick and easy. It also was just a huge weight off my shoulder to not have so much stuff anymore. Everything I had left was able to fit in my car and I ended up storing it with family for when I return. Having a lot of stuff weighs us down and reducing clutter clears mental space. I’ve slowly realized that my energy and productivity levels are greatly impacted by this. I always tended to be vastly more productive while working at coffee shops, and much less so at both the office and at home. I felt completely unmotivated at home that I had to leave to get stuff done or else I would waste an entire day doing nothing useful. Our environment matters. I’ll certainly be more careful about letting clutter build up going forward. Love that minimalist philosophy. I’ve cleared things out a couple of times in the previous 10 years, whether I simply threw something out or donated it. It truly is a huge burden lifted. @Greg Agreed, it really does help and good on ya for doing that. It’s been a hard habit to develop but I hope I can sustain it because stuff piles up quickly if we aren’t careful. Cleaning/decluttering isn’t exactly my favorite thing to do, but I just have to remind myself that the benefits clearly outweigh the effort it takes to keep it up.